Well better late than never. Between work and travelling a bit this month, I’m quite late on compiling my annual roundup post of my favorite meals from that year. Perhaps this year, I’ll try and stay on top of my favorite meals as they happen. 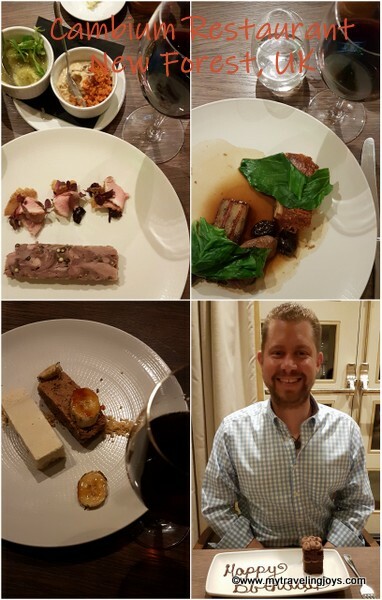 Just like 2017, 2018 was a year that both hubby and I worked a lot in London, but we always find enough time to take several trips and enjoy some special meals together. We kicked off 2018 with a fancy steak dinner in London with a good friend who was moving to Jakarta, Indonesia, for work. 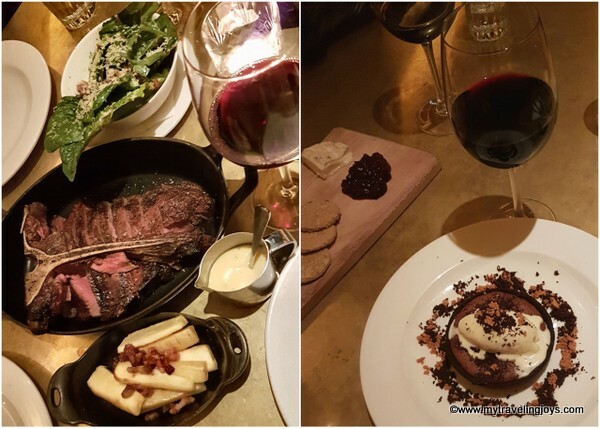 Hawksmoor is London’s prime location for a steak dinner and consistently ranks as one of the city’s best restaurants. Who needs a better reason to finally go here! 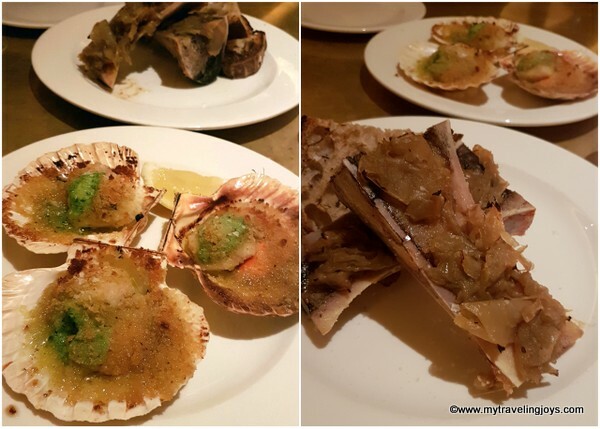 We started off with roast scallops cooked with white port and garlic as well as roasted bone marrow with onions. Yum! I don’t recall what cut of steak we ordered, but it was delicious and weighed nearly a kilo. Steaks are priced per 100 grams. If you don’t want to spend a lot of money, I would recommend booking a table for Hawksmoor’s Sunday roast special. 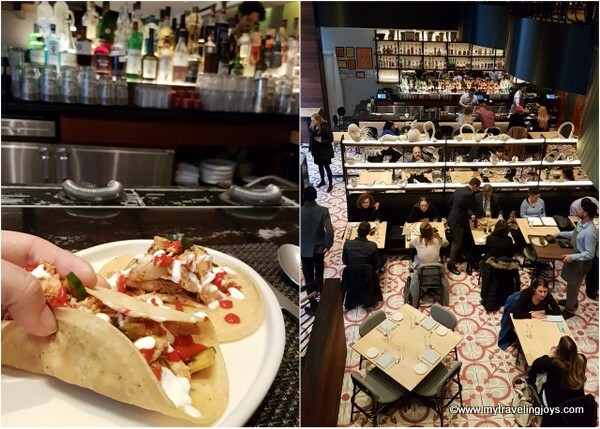 Empellón, an upscale Mexican restaurant started by Chef Alex Stupak. 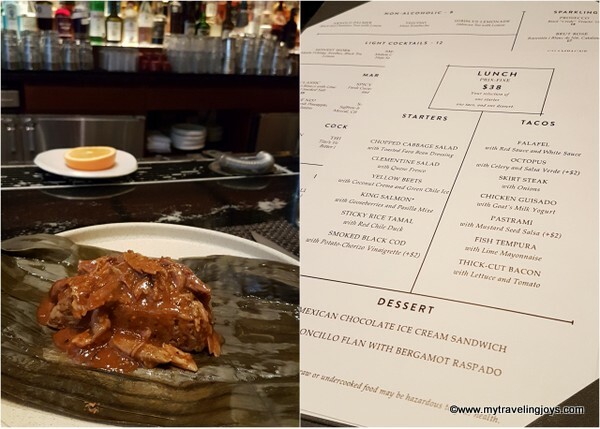 For my $38 lunch (about £30), I chose the sticky rice tamal with red chile duck starter, chicken tacos with goat’s milk yogurt for my main and the sweetly spiced Mexican chocolate ice cream sandwich for dessert. While the meal was tasty, and I had some good people watching from the bar, I honestly wished that I had just found a street taco truck instead. In March, we took a day trip to Canterbury, a cathedral city in southeast England (Kent) originally built by the Romans, lined with cobbled streets and centuries-old timber-framed houses. 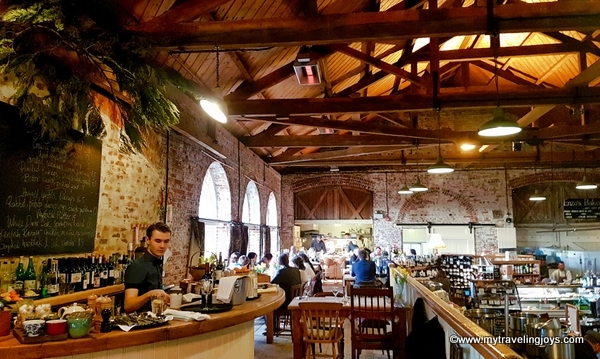 After a day of splendid sightseeing and taking hundreds of photos, we returned to The Goods Shed, an all-day restaurant overlooking a daily market, with its own bakery and an open kitchen. Ingredients are sourced from the in-house market, which was quite busy earlier in the day when we popped in. 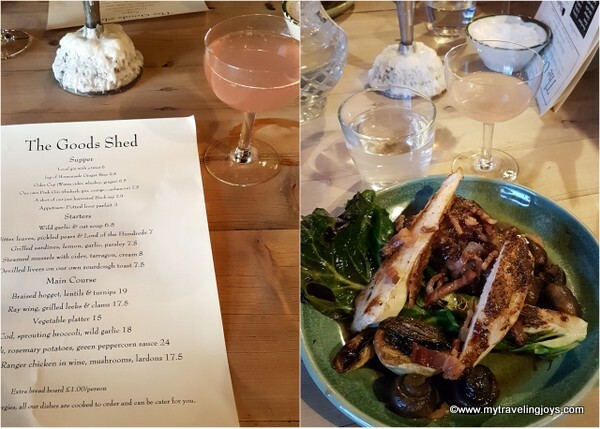 Though I didn’t take many foodie photos, I would happily return again just to eat the roasted local chicken cooked in wine with mushrooms and crispy lardons that I ordered. Remember when we did our DIY tour of the Champagne region of France? 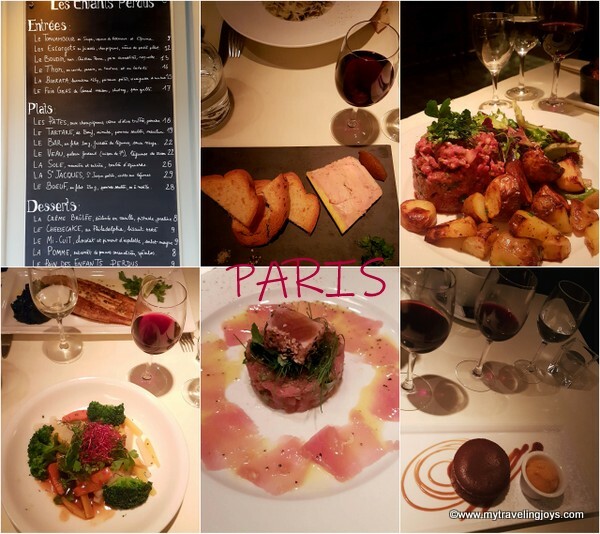 Well, our group of friends stayed one night in Paris, and we ate a delicious dinner together at Les Enfants Perdus, a highly rated restaurant near the Gare de l’Est station. With a Michelin-starred chef in the kitchen, the menu is sure to delight with such French classics as foie gras, tuna tartare, steak tartare and sole meunière. In April, we dined at Chicama in London with fellow American expats whom we hadn’t seen for a year and both have Latin American heritage. 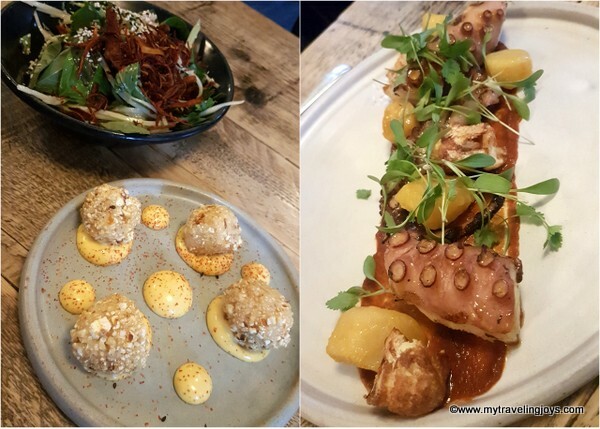 This Peruvian hotspot is known for its South American seafood sharing plates, so we enjoyed several tasty nibbles such as charred octopus, ceviche and some tapioca puffs. 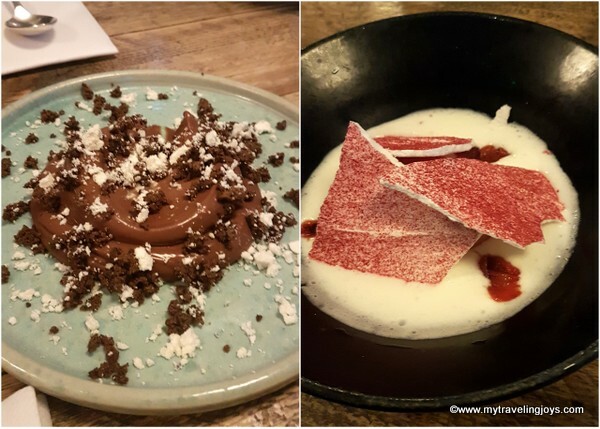 Surprisingly, this restaurant also had some of the most interesting desserts that I’ve had in a while – a deconstructed pavlova of sorts and a decadent, modern-looking chocolate pudding. For my birthday in May, we picked the last-minute destination of Jersey Island, one of the English Channel Islands. Although I had little time to plan this trip, I think that Jersey ranks as one of our top (surprising) travel destinations for 2018. 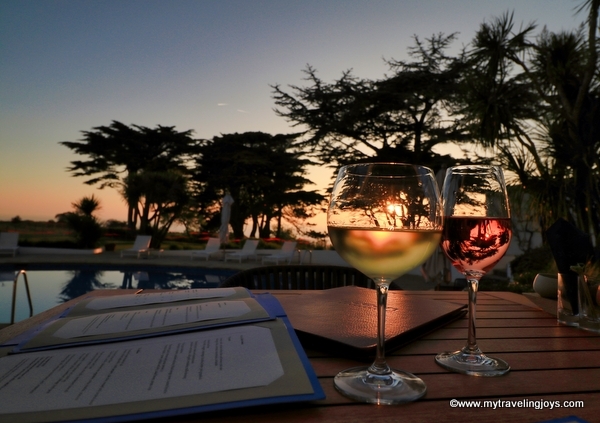 We kicked off our night with sunset drinks at the aptly-named Atlantic Hotel’s Ocean Restaurant, which overlooks the Atlantic Ocean on the western side of the island. We opted for the 3-course menu for £65 so we could sample the desserts. Unfortunately, I was too busy enjoying the night that I didn’t take any notes on the food, but at least I took photos. Also, I recall that everything was delicious and plated wonderfully. 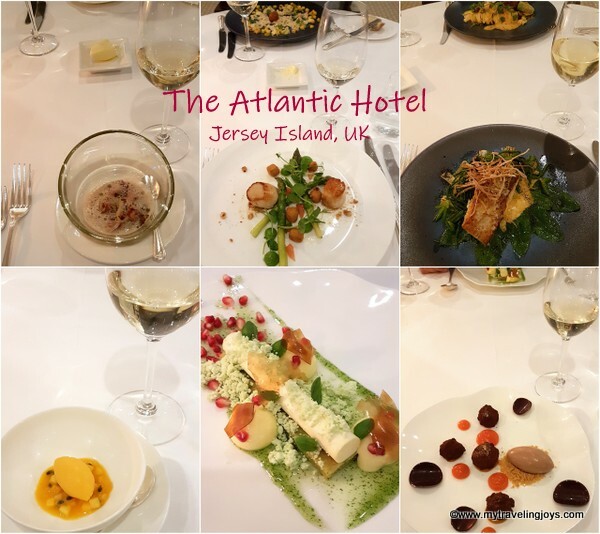 Visiting Jersey was a real birthday treat and a foodie weekend at every turn from local winery tastings to visiting a Jersey cow farm. I should write a post about that whole trip. During the summer, I was rather busy with work except for a weekend trip to Brittany, France, and a 4-day weekend to Cornwall at the end of August. 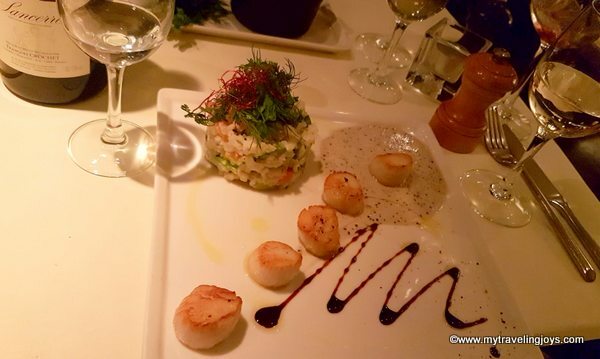 Cornwall is another foodie destination, and we had two memorable meals there. On our first night, I had booked us dinner at St.Enodoc Hotel, which features a lovely terrace overlooking the Camel Estuary. However, of course, it was raining the night we went. The menu showcases some of Cornwall's finest local produce, and seafood is the star here as it is at most restaurants in the Cornwall area. The restaurant was run by 2008 MasterChef UK winner James Nathan (and formerly run by top chef Nathan Outlaw), but not sure who is at the helm now. 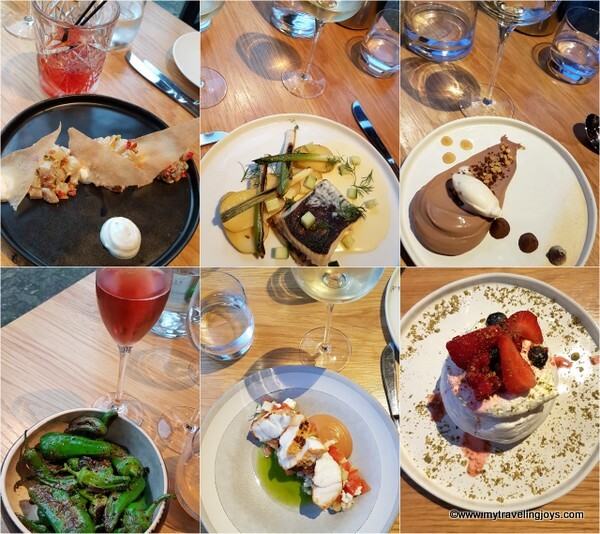 At Rick Stein’s flagship aptly called the Seafood Restaurant, we had a 3-course lunch for £41 – a reservation I booked a month in advance. I should mention that we even saw Chef Stein walking around the dining room. What a delight! 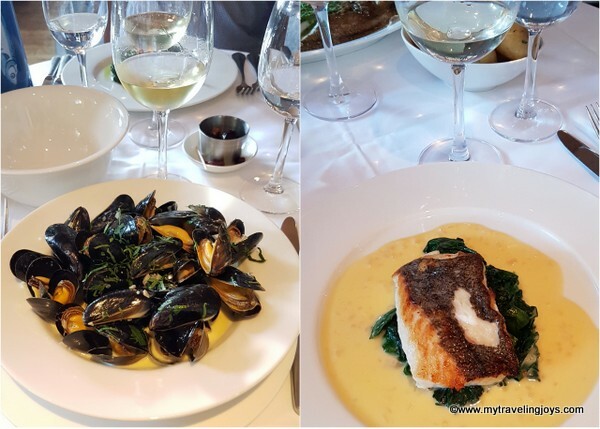 For my lunch, I had moules marinière in a creamy garlic and parsley broth followed by a roasted fillet of Cornish hake with wilted spinach in a beurre blanc (sauce). Perhaps having two dishes with cream sauces was a bit much, so I just had a strawberry sorbet for dessert. But all very good! For hubby’s birthday in October, we took our bikes on the train and headed out to New Forest for the weekend. We stayed at one of the spa hotels called Careys Manor Hotel, which once was a royal hunting lodge. For dinner one night, we dined inside at the Cambium Restaurant, which is run by Chef Alistair Craig. The whole menu focuses on local ingredients from the forest area, which featured hearty autumnal flavors during our visit. Definitely recommended! Wonder what delicious meals 2019 will hold for us!